Community members in Brooklyn have recently created a GoFundMe campaign in order to raise money to rebuild a mosque that was destroyed in a fire. 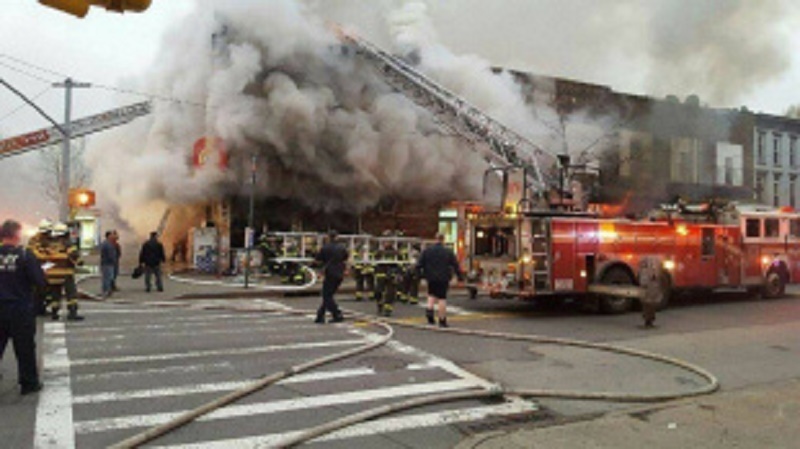 On Saturday morning, a fire swept through a building housing the Sunshine Express Deli and the Brooklyn Broadway Jame Masjid and Islamic Center in Bedford-Stuyvesant, Brooklyn. According to ABC 7, The fire broke out on the first floor of Brooklyn Broadway Jame Masjid and Islamic Center on 986 Gates Avenue in Bedford-Stuyvesant. The store on the first floor and the mosque on the second floor were both damaged. Firefighters were called in at 5:59 a.m. and the fire was under control at 7:33 a.m. According to one report, Kasson Kassim has worked in the family-owned business since it opened in 2012. He was heading to the store when the fire stopped him in his tracks. Heavy smoke spread upstairs to the mosque, where prayer services were just about to end. Prayer books and furniture inside were destroyed. The mosque, which has served the community there since 2004, has 250 members, who are now struggling to find a new place to worship for the holy month of Ramadan, which starts in a few weeks. It is now boarded up. To help rebuild the Brooklyn Broadway Jame Masjid and Islamic Center for its 250 members, the community has rallied together and created a GoFundMe campaign. Muslim Girl encourages you to contribute to this campaign. Any amount you can give will help this community rebuild their Brooklyn mosque.